Soviet JS -2 heavy tank No. 537 under the command of Lieutenant of the Red Army B.I. 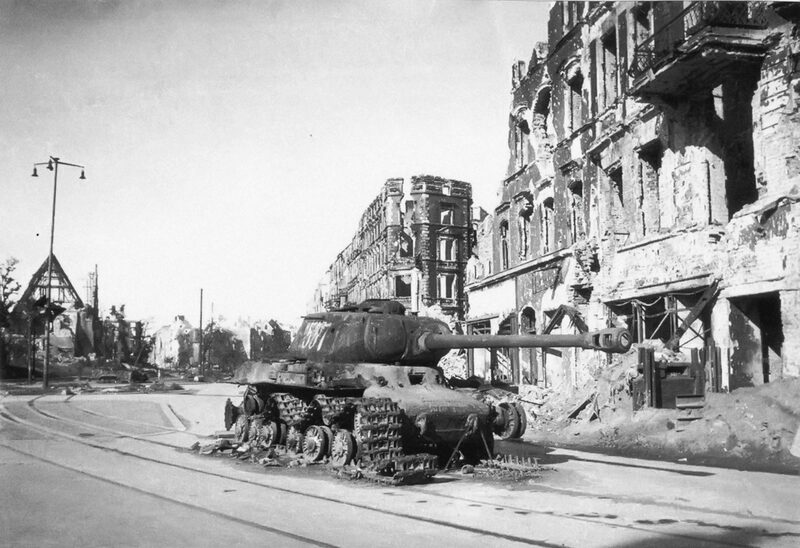 Degtyarev from the 87th Separate Guards Heavy Tank Regiment puned at Striegauer Platz in the German city of Breslau (now Wroclaw, Poland). This JS -2 tank is known from the photograph of Anatoly Egorov’s Musical Moment. From April 1 to April 7, the 1945 regiment of the 5th JS-2 tanks supported the infantry of the 112th and 359th rifle divisions in the southwestern part of the city. For 7 days of fighting, Soviet troops captured several quarters.